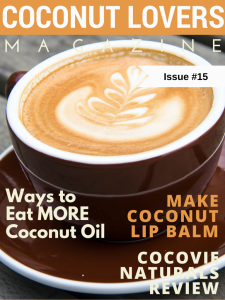 Coconut Lovers Magazine October 2015 Issue #15: Spreading” COCOVIE NATURALS love! 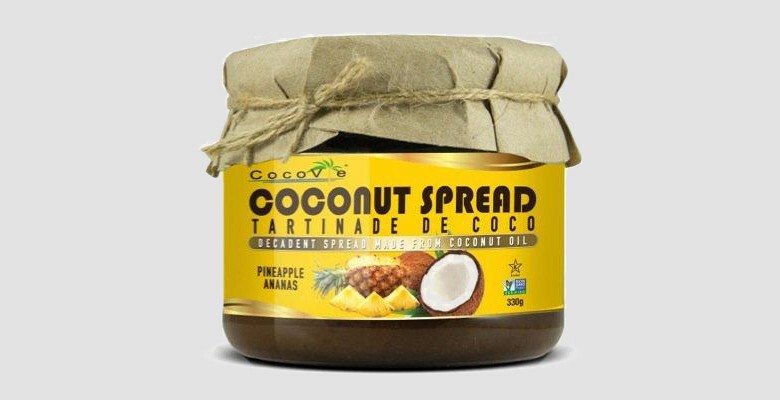 Coconut spreads are coconut oil with a twist! Spreads contain oil, nectar and milk from the coconut fruit. Surprise your palate with holistic love! Each flavor guarantees an added super food! Ginger helps aid digestion and cacao is a powerful antioxidant. 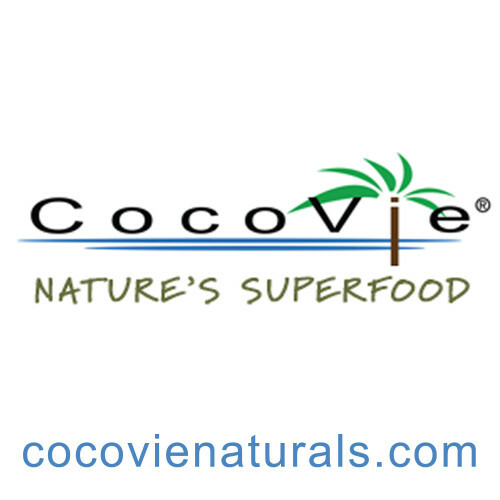 Coconut oil is a medium chain triglyceride. 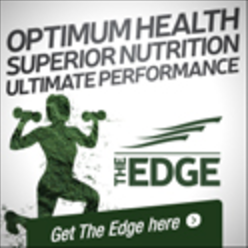 The body uses it as an immediate source of energy. Coconut oil is not stored as fat. Coconut Nectar naturally sweetens the spread. Blood sugar a concern? Don’t worry! Nectar scores just 46 on the Glycemic Index. Coconut milk is lactose free but adds a luxurious smooth texture. All that’s left is to choose a flavor! Pineapple, guava and mango are a one step breakfast wonder. They replace butter, jam, honey or margarine on morning toast. It’s time to eliminate commercial cereals. Try going old school. Hot oatmeal topped with just one teaspoon of spread is a satisfying way to start the day. Energy is a bonus! Oatmeal is high in fiber, stabilizes blood sugar and helps lower cholesterol. Healthy food combining for any age! Keep sugar and sodium in check by replacing ketchup, mustard and mayonnaise with chili! Chili flavor takes the ‘boring’ out of any dish. Try melted on nachos, as a rub on fish or for frying. Ginger can be added to tea, rice, quinoa or used for a quick and easy stir fry. Weekends are meant for leisurely breakfasts. Waffles and pancakes are soon to be a household favorite. Top with vanilla, chocolate and classic spreads. Apples take on a new life when nut butters are replaced! Melt your favorite flavor over air popped popcorn and finnish with Himalayan pink salt. Spreads are soy, nut, gluten and dairy free. They are even vegan and kosher. Coconut spreads are a simple and delicious way to indulge! Anywhere your imagination takes you, COCOVIE NATURALS has a spread for you!